Today, historical and cultural memories of Africans in Kochi are being articulated through several creative projects. African spirits have also become a subject for various artistic interpretations. 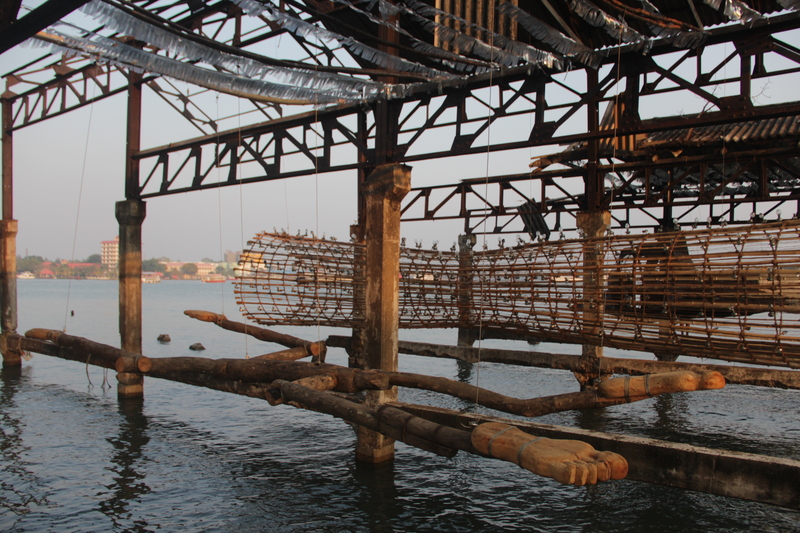 A site-specific installation by Rigo 23 that symbolically referenced the history and violent murder of Africans was commissioned to be displayed at the abandoned boat jetty in Calvathy Canal by the Kochi-Muziris Biennale in 2012. San Francisco based, Portuguese artist Ricardo Goureia, known by his artist’s name Rigo 23 presented a large, faceless wooden depiction of the African spirit or Kappiri through his tree-part installation “Kochi Tower.” In early 2013, local artist Hochimin P.H. created an abstract expressionist sculpture representing Kappiri that is currently in Bastion Bungalow as part of the initiative of the State Archeological Survey and the Tourism Ministry to represent little-known histories of Kochi. Although such artistic exploration of Kappiri is subject to interpretation, such projects play a crucial role in keeping memories of Africans alive in the present. Even before artists started addressing such subjects, local writers were weaving Kappiri into the plots of their novels, and there are also a few books in the Malayalam language about the lives of Africans in Cochin during European occupation. For example, in his English-language novel Maya (2008), Kochi-based writer, George Thundiparambil employed Kappiri as the central character as well as the narrator of the story. The book received positive reviews and appreciation, especially for the treatment of the character of the African slave. Blending historical accounts with fiction, Thundiparambil renders a picture of the lives of enslaved Africans of the Malabar Coast, their journeys, and their suffering. By letting his imagination fill the gaps of the fragmentary historical evidence that he found in libraries in Germany and archives in Portugal, Thundiparambil provides a discursive narrative about a community whose history is unwritten and memories largely forgotten.